On Sunday when Asiana Flight 214 from Seoul missed its runway and crash landed at San Francisco International Airport,there were 300 passengers and crew members aboard.But only two passengers died. 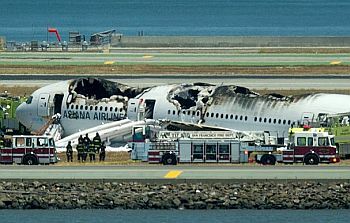 The low casualty was due mainly to advancement in technology.Like all airplanes,Asiana aircraft carried ’16 G seats’.These seats were capable to withstand pressure more than a dozen times stronger than gravity at the earth’s surface. Page rendered in 0.3452 seconds.